Abhishek Bachchan does not require any introduction. He is a famous Bollywood actor and also the son of great Mr. Amitabh Bachchan. He worked in several Bollywood movies and also won awards for his great acting. Here in this tutorial, we are going to instruct you that how to draw Abhishek Bachchan face pencil drawing step by step. 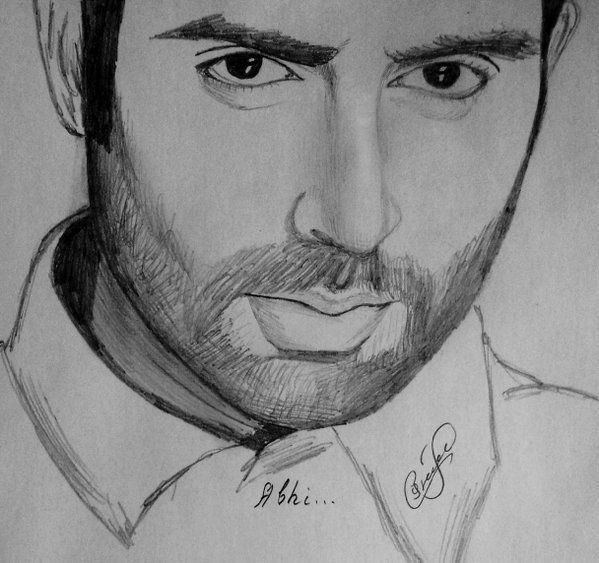 If you are also Abhishek Bachchan and want to draw his face pencil drawing then you must check this tutorial. • Abhishek Bachchan was born on 5th February 1976. • He is not only an Indian film actor but also a film producer. • Both the parents of Abhishek Bachchan all Bollywood actors. • Abhishek Bachchan made his first debut in Hindi cinema in 2000 with the movie Refugee. • Abhishek Bachchan has worked in a dozen films including comedy action Romance etc. • In his career, Abhishek Bachchan also gets the nomination in Filmfare Award for Best Actor on the basis of his acting in the movie that was based on Dhirubhai Ambani life, the name of the movie was Guru. If you want to draw Abhishek Bachchan face pencil drawing step by step but don't know how to start then this tutorial will definitely help you out. In this video, we have given instructions that will make it very easier for you to complete Abhishek Bachchan pencil drawing. To go through the video you need to hit on the link that is given in the below section of this page. In order to get complete instructions on Abhishek Bachchan's pencil drawing it is important that you watch the video till the end. If you miss a single step then it may cause a mistake in your drawing completion. After watching the tutorial if you got confused or have any sort of ambiguous situation then you may go through the video again. You can also download or save the video by using the downloading Tab given below. Are you also a Bollywood fan and love to draw celebrities face then you must check this tutorial. In this tutorial, we are going to instruct you that how can you draw Aditya Roy Kapoor face pencil drawing step by step. 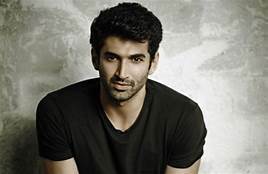 Aditya Roy Kapoor is one of the Indian film actors who worked in several Hindi Bollywood movies. Before becoming an actor Aditya Roy Kapoor was a VJ on Channel V. Aditya Roy Kapoor has a huge fan following. His many fans love to draw his pictures and face drawing if you are also one of those who want to draw Aditya Roy Kapoor face drawing then this tutorial will definitely help you out. 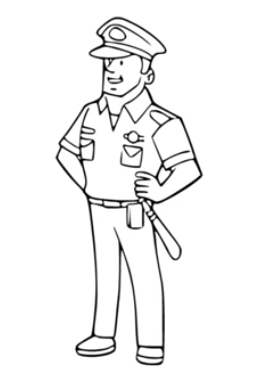 Here we have given a brief video which will instruct you step by step about the drawing. • He was born on 16 November 1985 at Mumbai Maharashtra. • He completed his education from Saint Xavier's College Mumbai. • He started his career in Bollywood in 2009 and at present also is working in the same field. • He also won several awards including best actor, most ford, god and others for his movies like Aashiqui 2 and Yeh Jawaani Hai Deewani. We hope the above-given tutorial helped you out in completing your Aditya Roy Kapoor space drawing. You have any confusion regarding the picture then you may also view the video again. You are satisfied with the instructions given here in the video then you may also hit the like button. Want to share your views and give any suggestions regarding the instructions given then you may mention your come in below comment box. Update us subscribe to our free mail service thank you. Recently an Indian Tamil language science fiction action film titled as robot 2.0 has been released. This was a huge budget film with an amount of 543 crores. The movie has become a huge blockbuster and earns a lot of fan following. Especially the acting of superstar Rajinikanth is stunning in this movie. Not only children but also adults have become a fan of this movie and Superstar Rajnikanth acting. There are several children and youngsters who are making robot 2.0 Rajnikant drawing. In order to show their love and respect towards the superstar and the movie, They are also uploading their creativity on social media. If you also want to draw robot 2.0 Rajnikanth drawing then you must check this tutorial. In this tutorial, we are going to instruct you that "How to Draw Robot 2.0 Rajnikanth pencil drawing step by step"
Hit on the below-given video link to watch the step by step instructions of completing robot 2 Rajinikanth face pencil drawing. 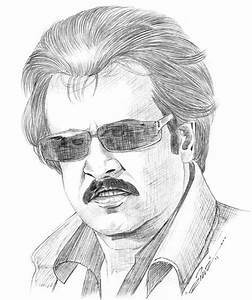 This link will redirect you towards a page having instructions on "How to Draw Robot 2.0 Rajnikanth pencil drawing step by step"
We hope you like the tutorial and also fully instructed regarding the completion of robot 2.0 Rajinikanth face pencil drawing. If you like this tutorial on this tutorial helped you out in completing your drawing then please hit the like button. To go through other videos uploaded on our channel. The tutorials given here at this channel will definitely help you in completing your drawing with perfection. For more related update keep visiting. Hello, we are here again with the tutorial of how to draw the face of our first Prime Minister of India. Yes, you get it right. We are talking about Pandit Jawaharlal Nehru. Pandit Jawaharlal Nehru was the first Prime Minister of Independent India. He was a freedom fighter also who fought for our independence. He was born on 14th November 1889 at Allahabad and died on 27th may 1964 at New Delhi. In India, people call Pandit Nehru as Chacha Nehru and his birthday is celebrated as Children's day every year. Pandit Jawaharlal Nehru is considered as the founder of Modern Indian nation-state: a sovereign, socialist, secular, and democratic republic. On this day, children used to draw Pandit Jawaharlal Nehru face sketch. Furthermore, many schools organize drawing competitions for children. In such competitions also children used to draw Pandit Jawaharlal Nehru sketch. 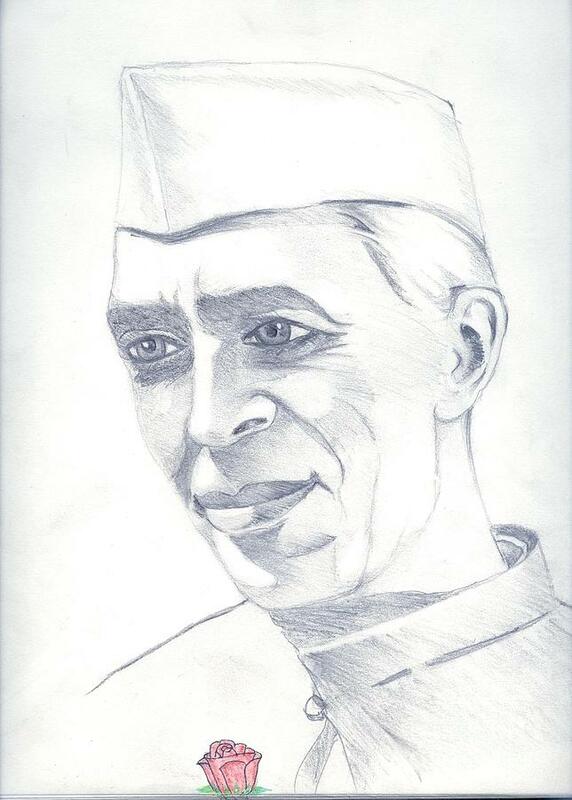 If you are also looking for step by step tutorial to complete Pandit Jawaharlal Nehru face sketch drawing then this tutorial will definitely help you out. Hair in the video given we have illustrated each step to complete Pandit Jawaharlal Nehru face sketch. To understand tutorial and to make Pandit Jawaharlal Nehru sketch easily you are suggested to watch the video till its end. 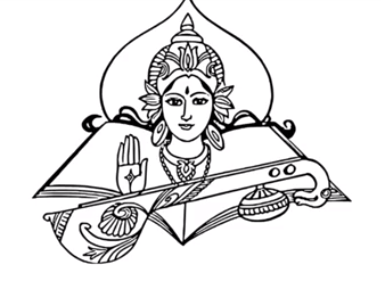 We have given the link to watch the illustration on "How to draw Pandit Jawaharlal Nehru face sketch drawing step by step". To watch the video hit on the link and you will be redirected to the new page. We hope the above-given tutorial help you out in completing your Pandit Jawaharlal Nehru sketch. If you are having any confusion and want to watch the video again then please feel free. You can watch the tutorial as many as you want. We all know that India is a developing country. Furthermore, it is developing day by day. We all talk about the future. In future our country will be like this, our future will be like that. This development will happen, that situation will get improved and many more. Today tutorial we are going to provide “How the Future Will Be”. Yes, in today's tutorial we are providing instructions about “How to Draw Future of India 2050 Drawing Step By Step”. Everyone needs development. While imagining about the future, we never want anything to be undeveloped and incomplete. We all imagine a successful and bright future. If you are one of those, who love to portrait their imagination on paper then you must check this tutorial out. 2018 is about to end and 2019 is on its way. There are many developments in our country period just imagine what will happen in 2050? Sounds interesting right? In order to provide your imagination a pictorial form we have designed this tutorial on “How to Draw "future of India 2050" drawing step by step”. To watch the tutorial you need to hit on the below-stated link now. We hope the above-given tutorial will help you out to portray your imagination regarding the future of India in 2050 on paper easily. If you have any Views or suggestions regarding this “How to Draw "future of India 2050" drawing step by step” tutorial then please feel free to share them with us. In order to share your views all you need to do is to mention your comments in the below-given comment box. If you like our tutorial then you may also hit the like button. Apart from the above-given tutorial you may also check other videos that will help you to know “how to draw with perfection?" To get all the related updates directly in your mailbox you may also subscribe to our free mail service by hitting on the subscribe Bell icon given below. Thank you!! !